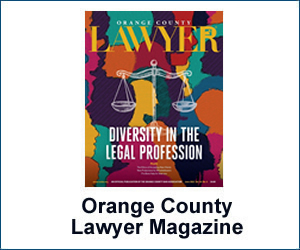 The Orange County Women Lawyers Association (OCWLA), an affiliate bar of the OCBA, announced that it will contribute approximately $25,000 in grants to nine charities. 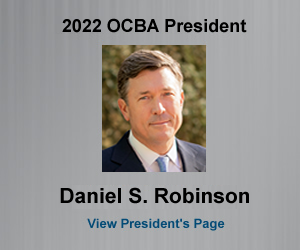 The OCBA is proud to share its members that were listed as Southern California Super Lawyers for 2019. 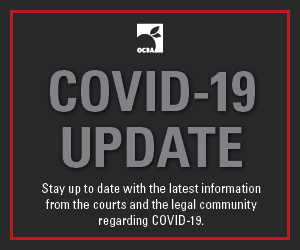 The OCBA is proud to share that 28 OCBA members were named Lawyer of the Year by Best Lawyers for 2019. The Veterans Legal Institute announced Stephens Friedland LLP as Law Firm of the Year, OCBA Past President David Price as Attorney of the Year, and Hon. Lon Hurwitz as Veteran Advocate of the Year for 2019. OCBA member Doug Luther, an associate at Glaser Weil Fink Howard Avchen & Shapiro LL, has been named as a Legal Eagle by Franchise Times for the second year in a row. OCBA member Elizabeth Weldon, a partner at Snell & Wilmer, has been named as a 2019 Legal Eagle by Franchise Times for the ninth consecutive year. OCBA member Jeremy Stamelman has joined Keller/Anderle LLP as its newest partner. He is an experienced business litigator who before coming to Keller/Anderle spent 16 years at the Los Angeles and New York offices of Gibson, Dunn & Crutcher. 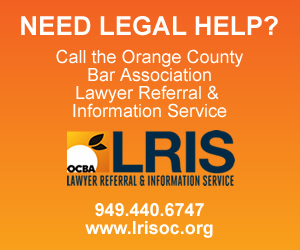 OCBA member Kristin Walker-Probst has joined Womble Bond Dickinson’s Orange County office as its newest partner. OCBA member Megan Gess has joined Haynes and Boone, LLP as a partner in the Corporate Practice Group in the Orange County office. To Enhance the System of Justice, To Support the Lawyers Who Serve It, and To Assist the Community Served By It.